IN 1986, Queen reigned supreme. Their performance at the previous year’s Live Aid extravaganza cemented their status as one of the top rock groups on the globe. They stole the show with a set later voted the greatest rock performance of all time, attracting an army of new fans. And many of them were among over one million fans who flocked to Queen’s subsequent Magic Tour, a record at the time. 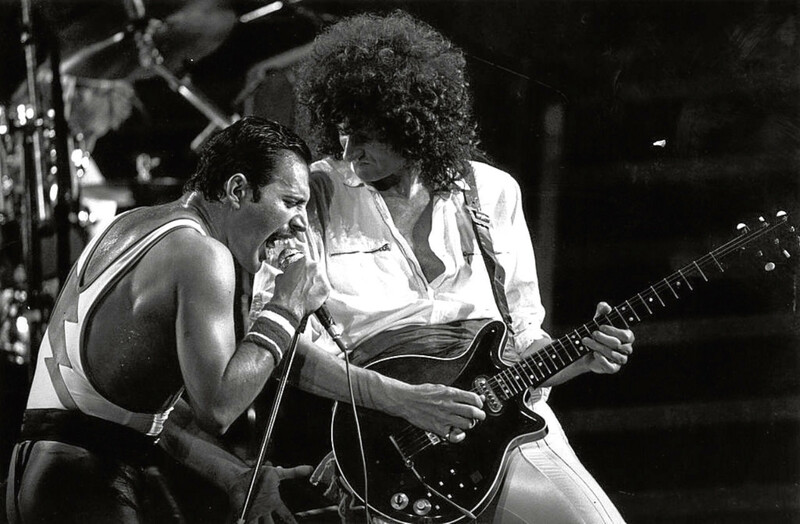 The tour culminated in a huge concert at Knebworth Park in Hertfordshire, where Freddie Mercury and his bandmates played to an astonishing crowd of more than 120,000. None of whom realised they had witnessed the last-ever live performance of one of Britain’s best-loved bands. In 1987, Freddie was diagnosed with AIDS and Queen took the decision to stop touring. And, as is so often the case, the timing was particularly cruel as the band was effectively cut down in its prime. They had been a major act since the mid-70s and their 1980 album The Game — which included the classic single Another One Bites The Dust — was a huge hit on both sides of the Atlantic. Then, in 1981, they released their Greatest Hits, which showcased their singles of the previous seven years. The bestselling album in UK chart history, it has spent 450 weeks on the album chart and sold more than 25 MILLION copies worldwide. But then, they hit something of a lull. The follow-up album Hot Space was a departure from their 70s rock sound as they added elements of disco, pop, dance, funk and R&B and the fans weren’t impressed. It was recorded in Munich during the most-turbulent time in the band’s history, with both guitarist Brian May and drummer Roger Taylor unhappy with the new sound. Queen’s star waned across the Pond and they stopped touring North America. They went back to their bombastic roots for their next album, The Works — Radio Ga Ga and all — and the rethink worked in the UK, where it went triple platinum. But there was another bump in the road as The Works Tour included nine dates at Sun City in South Africa. Queen returned to the UK to outrage, as apartheid was still in force and the UN had South Africa under a cultural boycott. Though the band insisted they were playing music for all fans in South Africa and that their audiences had been integrated, they were fined and placed on a UN blacklist. But then came Live Aid, which completed the revitalisation of Queen, with Taylor describing it as “a shot in the arm”. The album they were promoting on what would prove to be their last tour, A Kind Of Magic, sold more than six million copies, but though the next two LPs sold almost as well, there were no live shows to promote them. Freddie’s increasingly-gaunt appearance prompted rumours he was suffering from AIDS though he flatly denied them. He would say he was either too exhausted or too busy to give interviews. But on November 23, 1991, in a statement prepared on his deathbed, it was confirmed the singer did have the illness, and he died less than 24 hours later. One of the world’s greatest ever frontmen, he would have been 70 this year.